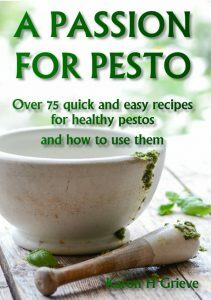 As you all know I love pesto in all it’s forms, so much so I made an eBook all about it, my Passion For Pesto. 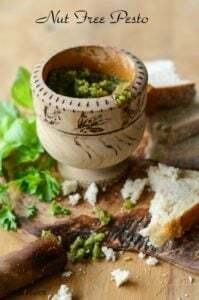 Anyway one of the recipes in there is this Nut Free Pesto because all those folks out there with nut allergies really shouldn’t miss out on the wonders of pesto! Baked cod gremolata is a tasty and healthy supper dish, low in the carb department, high in the protein, fiber, vitamins and health. Throw in the fact that it tastes damn good and you really do have a dish that ticks all the boxes, who can argue with that. This avocado dip can be used in all sorts of ways from a dip for crudities and crisps to a sandwich filler with chicken, prawns or salmon to a side sauce for seared salmon as I’ve used it here. Super easy to make with few ingredients it’s the perfect spring addition to your recipe collection.